A rigorous new fact-based carbon accounting system developed by a JRC-led group of forestry research experts reveals how forest management practices can help lessen greenhouse gas (GHG) emissions. This new system has been recently accepted by the EU as the scientific basis for incorporating the land-use, land-use change and forestry (LULUCF) sector in its climate strategy. During their growth, trees take in carbon dioxide from the atmosphere through photosynthesis and store it as carbon in their wood. Through appropriate forest management, trees behaving as "carbon sinks" can have a substantial impact on carbon decrease. Conversely, deforestation can make them "carbon sources", worsening global warming. Thus, sustainable forest management can help lessen GHG emissions. The EU, under the Paris Climate Agreement of 2015, has pledged to lower GHG emissions by at least 40% by 2030. EU forests absorb the equivalent of almost 10% of all EU GHG emissions annually. Conserving and improving this sink, while using wood products as alternatives for more carbon-intensive energy and materials, could play a key role in achieving this target. However, realistically measuring and reporting on the outcome of forest management on emission reductions (or absorption increases) has been difficult to accomplish. The use of projected 'forest reference levels', as executed under the Kyoto Protocol (2013-2020), is debatable as it includes the assumed (and thus unverifiable) effect of future policy impacts, which can result in counterfactual scenarios that include inflated future harvest figures or fail to consider future increased emissions. The new science-based method for reliable accounting of mitigation in managed forests illustrated in a recent article fixes reference levels based on documented historical forest management practices instead of on projected future policy impacts. In other words, it is based on factual proof (what has really taken place) rather than anticipated future outcomes (which may never happen). Applied to 26 EU Member States using the Canadian Forest Service's Carbon Budget Model, it found that forests really absorbed more carbon dioxide in the years 2013-16 than was recorded under the present Kyoto Protocol method. This was because the emission forecasts were founded on estimated increases in forest harvesting that never really happened. Grounded on the new system, EU forest harvest levels are anticipated to increase by 12% by 2030, but at a slower rate than in predictions based on the Kyoto Protocol method. This is because the system takes age-related dynamics into considerations but neglects future (unrealized and unverifiable) impacts of policy on harvest volumes. 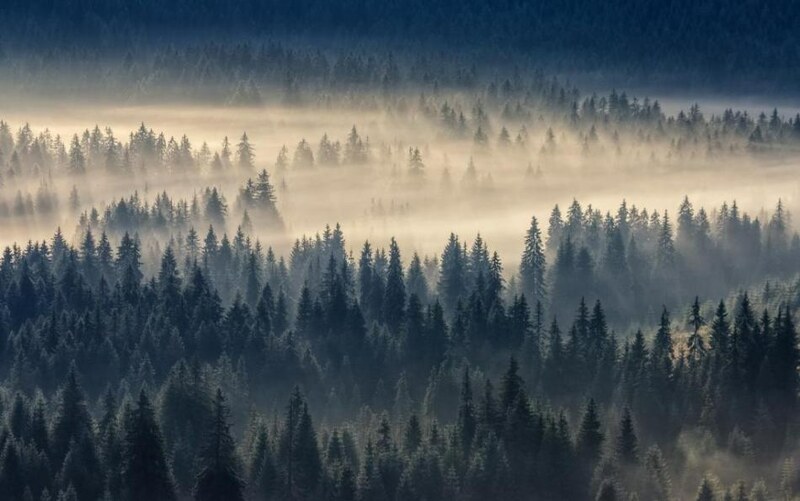 The new approach leaves countries free to look after forests as they desire, but necessitates that the atmospheric impact of variations in management relative to a historical period is totally reflected in the accounts. This guarantees the comparability of forest accounting with other sectors, such as the energy industry. This offers a reliable solution to the debate on how to account for forest sinks at the country level, and helps enhance transparency and scientific integrity within the Paris Agreement. A new EU Regulation on Land Use, Land Use Change and Forestry (LULUCF) issued on 19 June 2018 involves, for the first time, the LULUCF sector in decreasing GHG emissions. The Regulation lists out the commitments and rules for the inclusion of GHG emissions and removals from the LULUCF sector in the agenda of the EU's 2030 climate and energy targets. According to the new Regulation, Member States may use certain mitigation actions in forestry and agricultural land uses to match their climate targets. This is in keeping with the Paris Agreement, which highlights the critical role of the LULUCF sector in realizing long-term climate mitigation objectives. The JRC contributed considerably to this legislative proposal, both during its design and the deliberations with Member States and the European Parliament. Particularly, the JRC was deeply involved in the most complex and debated issue in the whole legislation—the procedures on how to account for the climate impact of forest management. A newly published Technical Guidance for executing the forest reference levels, coordinated by IIASA, extends and further elaborates the scientific principles defined in the JRC study. This method is an improvement on that currently uses by EU Member States, but why are they still using gross-net for afforestation/reforestation and gross/net for Forest Management (with a revised forest managment reference level), rather than using net-net like with cropland or grassland management .... with a 5 year commitment period and reference period most of the problems with net-net should be overcome?